Fashion Rules! have created this fabulous puzzle of Nicole Richie, such a great gift idea for the Holiday season. This is a limited edition fashion puzzle featuring our favourite style icon Nicole Richie. The 500 piece puzzle incorporates an exclusive shot of Nicole, photographed by fashion photographer Mathu Andersen. The FashionRules! 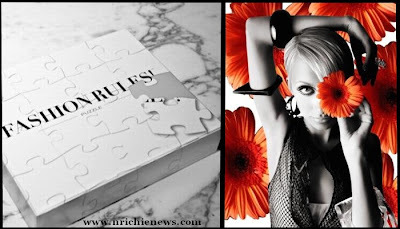 Nicole Richie puzzle will be available in Barnes&Noble.com, Holt Renfrew, and Ron Herman. This puzzle would make a great gesture for any Nicole Richie fan & when the puzzle is complete it makes a fashionable coffee table piece or glue the pieces together and frame it to make your own one of a kind wall art.